FORMED IN 1913 AND REMAINS ACTIVELY INVOLVED IN FISHING AND SHOOTING SPORTS. The club is located at 223 Long Harbour Rd. Club facilities include Trap, 100 yard Rifle Range, Archery, Pistol and 20 yard Indoor Range. We have meeting rooms available for both member and public functions. The trap range has it's own trap shack. domain without comment from the Club. To Access the information select the link below or select “Legal Info” above. The following is a copy of an email that has been sent to Salt Spring Island Rod and Gun Club members and Supporters. 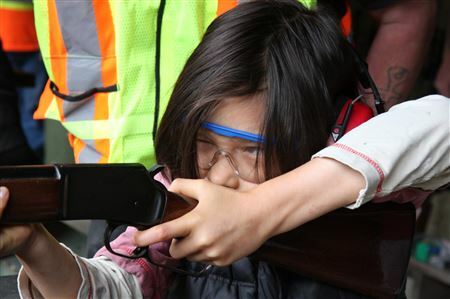 not only impact our little club it has consequences for all gun enthusiasts across BC and Canada. We were able to announce good news at last night's monthly meeting...WE WON the latest injunction against us. canvassed, or could have been canvassed in trial in the first action. until the MOE process has gone through to make those decisions - there is no sense in working at cross purposes. or deal with the fact that their property is already contaminated by lead from historical shooting. Salt Spring Island , B.C. Thank you for your understanding and help at this critical time. crave a little whiff of gunpowder outdoors......or just wanting to top off that perfect day of shopping off-island. PLEASE DISREGARD ANY INSTRUCTIONS FOR ONLINE CREDIT CARD PAYMENT. PAYMENT MAY only BE MADE USING THE OPTIONS AS DEFINED BELOW. - If you decided to send a check to the Club mailing address or by hand delivering it to the Rental Stop or by paying using Email Money Transfer (EMT), a second email will be sent to you advising that the check or THE EMT transfer is processed. Until then, your membership will remain as Pending. we get 100% of the value. If they have to be cleaned and sorted then we get 50% of the value. A great way for members and the community to support our urgent fund raising needs. Club members and anyone supporting our efforts to survive - we have a Save-a-Tape box at Country Grocers. charities and clubs on Salt Spring. before making a purchase. There is an FAQ sheet at the Club and all the cashiers know the rules if you have questions. We can earn a maximum of $1000 toward our noise mitigation program and we have about a year to raise the money. total $1000--just for eating!. The money is granted every few weeks based on the amount loaded, not the amount spent. And we can have more cards if needed. So grab a card, get loaded and eat. Until further notice all discharge of firearms outside is limited to TRAP Shooting for a maximum of 2 hours per week. It is crucial that this directive is strictly adhered to. Thanks for your understanding and cooperation. Saturday 10:00 am to 3:00 pm .22 rifle and handgun shooting in the Indoor Range. THESE SHOOTING TIMES MUST BE STRICTLY ADHERED TO. Members are responsible to adhere to all club rules and applicable laws. 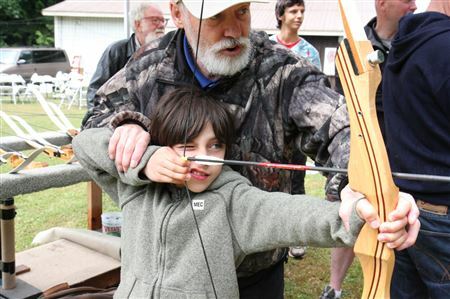 Become a member today and start enjoying the many activities the Salt Spring Island Rod & Gun Club has to offer.